Before planning a trip to Hawaii, you may not realize that there are actually six islands that you can choose from to explore. While each has its own unique offerings, Kauai has one of the most iconic landscapes in the island chain – the Na Pali coast. You’ve probably already seen this gorgeous mountain range in multiple movies and photos, but that just doesn’t compare to seeing it in person. While your tour will end with some unforgettable memories to cherish, everyone loves a good photo opp. And you’ll have plenty of options to take the types of photos your friends and coworkers will drool over upon your return. If you ask nicely, a member of the crew will be happy to snap a shot of your group for you – one you’ll be sure to use for this year’s holiday cards, or at least as your profile pic. And for all the budding photographers out there, you’ll be clicking non-stop as you pass waterfalls and mountains and beaches just begging to have their photo taken. However, the Na Pali coast isn’t just another place to get an Instagram-worthy photo, it is an experience. To get the full view, you’ll have to take a tour. This means either going up in a helicopter or out on a boat to have the opportunity to take in the vast beauty of these iconic mountains. As you approach, don’t be surprised when you are filled to the brim with awe and it feels like you’ve some how stepped back in time. This area really makes you appreciate the millions of years of volcanic activity, weathering and erosion that created this amazing scene. Plus, on a boat tour, you can even go into the sea caves, get doused by a waterfall, or do some snorkeling beneath the towering lush mountains. Talk about a day to remember! Each island has its own vibe and Kauai truly has one of the best. 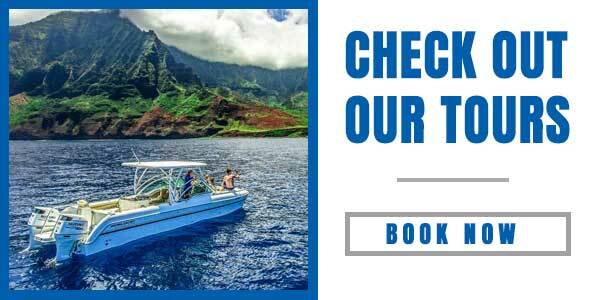 So, while you’ll likely visit to check the Na Pali Coast off your bucket list, you’ll be happy to stick around to enjoy the many beaches, hikes, and other unique activities. Don’t miss a trip to Waimea Canyon for more jaw-dropping views, a stop at Kauai Coffee for a highly caffeinated and tasty sampling session, and a fun-filled luau at Smith’s – a great way to end your trip! And if time allows, don’t stop here – there are five more islands to explore! But, if you are short on time, Kauai is the perfect island to get a true taste of Hawaii and all the unreal beauty it has to offer.